The following articles present a detailed understanding of osteoporosis and fractures, why they occur, and how they can be prevented. How much do you know about osteoporosis? Test your knowledge by taking the osteoporosis quiz. Think you may be at risk for osteoporosis and fractures? Take our quick fracture risk assessment test and find out! Want to learn the proper way to exercise to build stronger bones? 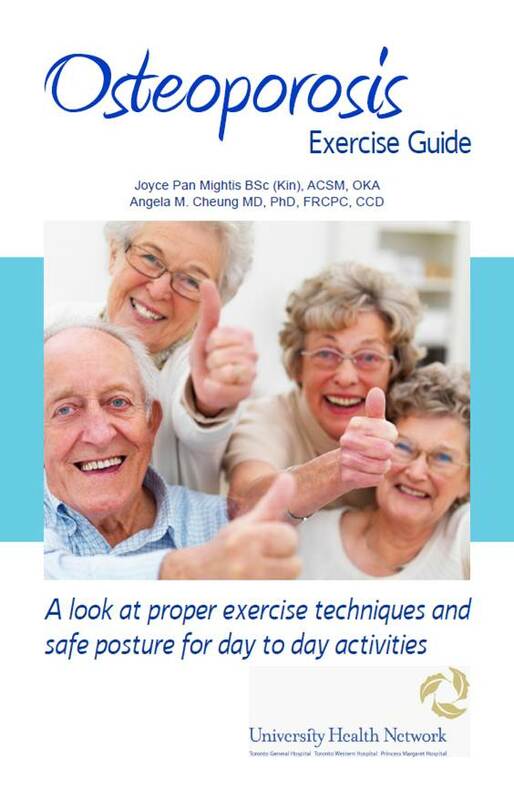 Get your copy of the UHN Osteoporosis Exercise Guide, a unique book co-authored by Dr. Angela M. Cheung, Director of the UHN Osteoporosis Program.